Usage: Extremely tenacious, it has the ability to exalt and fix all kinds of perfumes. It harmonizes particularly well with floral, aldehydic, chypre, oriental, powdery and animalic notes. It gives elegant musky effects. 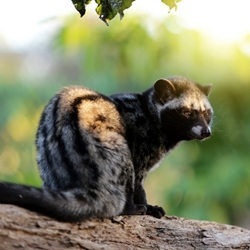 Civettone is one of the cornerstone to civet reconstitution.